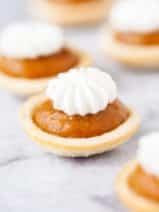 When it comes to pumpkin desserts, sometimes it’s hard to recreate the wheel. I mean, you’ve got your classic pumpkin pie, pumpkin cookies and maybe a pumpkin roll, but what else is out there? 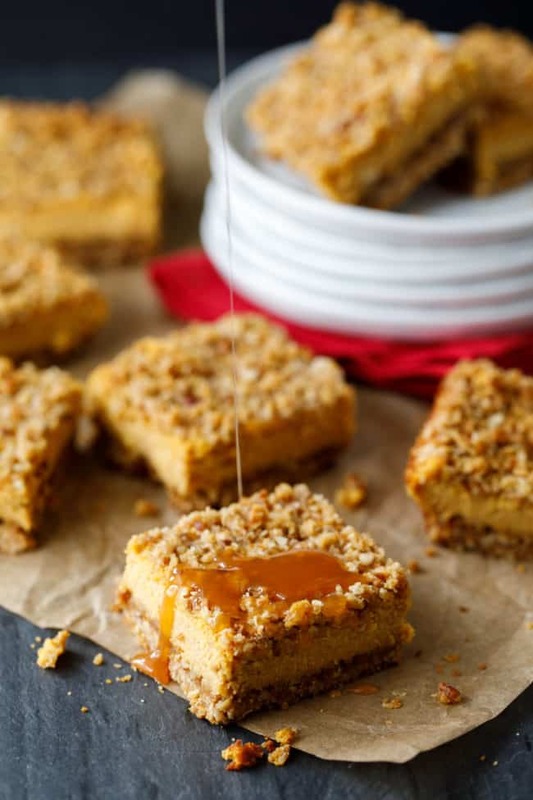 Trust me when I say that you’re not going to want to miss these incredible pumpkin streusel cheesecake bars this holiday season! 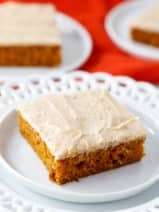 I am in LOVE with these delicious pumpkin bars, and I love that the base is an oatmeal cookie mix. It makes for such a delicious and flavorful crust. 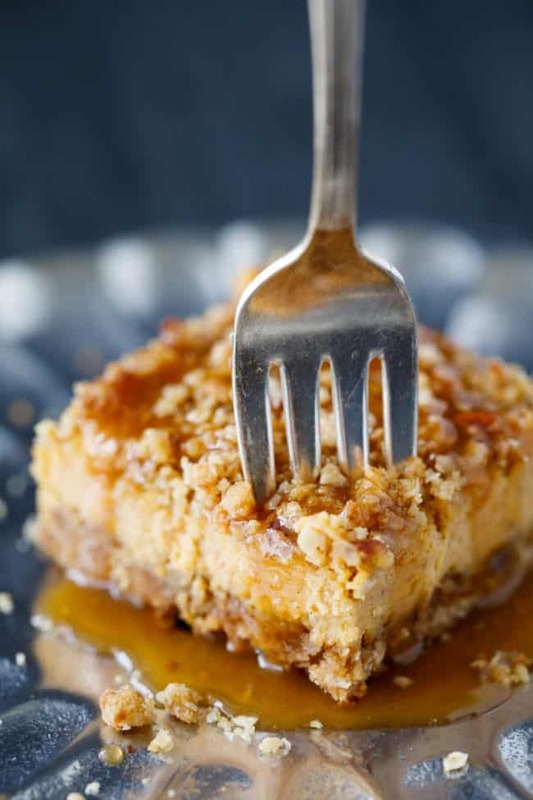 Plus, this pumpkin streusel cheesecake bars recipe has crushed gingersnap cookies in the crust. This little detail alone was enough to make want to try this recipe. 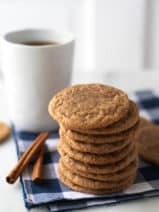 I am a huge fan of gingersnaps and love incorporating them into my holiday baking. 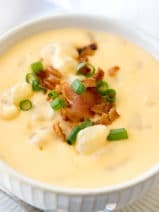 I made this recipe for the first time about five years ago for our Thanksgiving dinner. 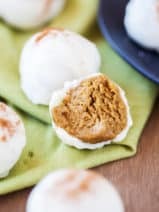 It was such a huge hit that I’ve been making it at least once or twice during the fall ever since. 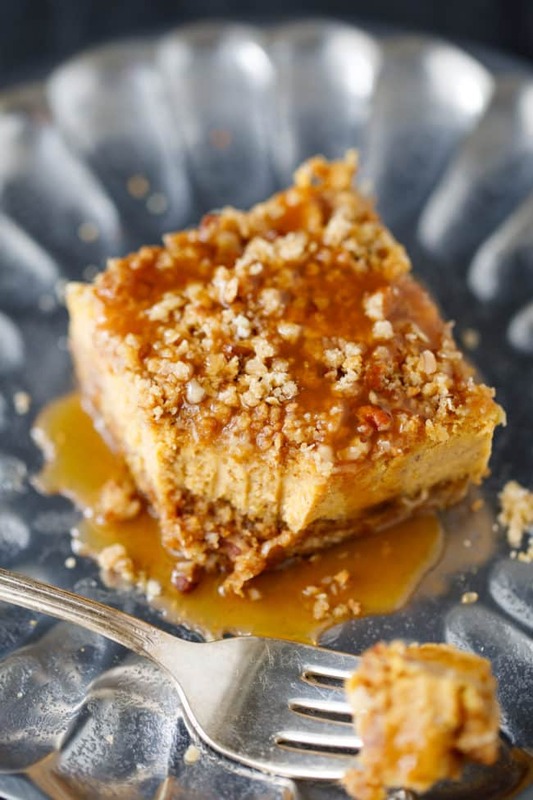 By the time you’re drizzling the caramel sauce on top you’re going to be in pumpkin dessert heaven. 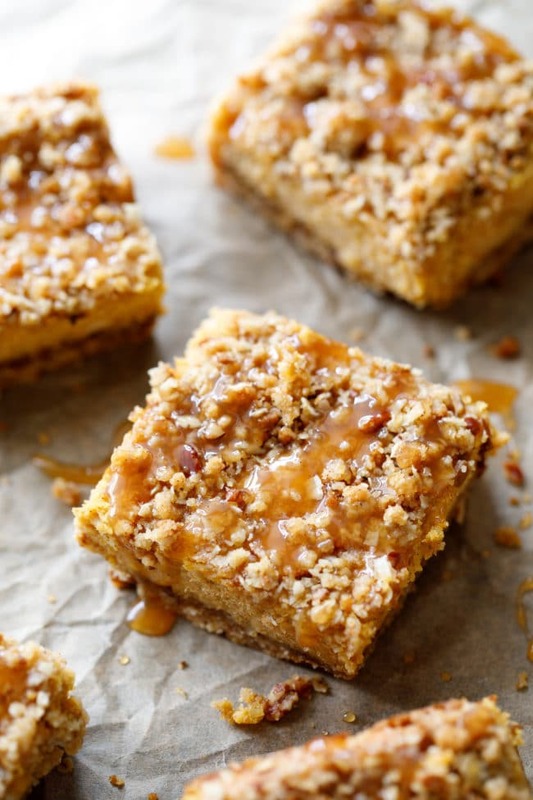 If these pumpkin streusel cheesecake bars are making your mouth water, be sure to grab the recipe below. Heat oven to 350°F. In large bowl, stir together cookie mix, crushed cookies and pecans. Cut in butter, using pastry blender or fork, until mixture is crumbly. Reserve 1 cup mixture for topping. Press remaining mixture in bottom of an ungreased 13×9-inch pan. Bake 10 minutes. Cool 10 minutes. In large bowl, beat cream cheese and sugar with electric mixer on medium speed until mixture is smooth. Add your remaining filling ingredients and beat until well blended. Pour over warm cookie base. Sprinkle with reserved topping. Before serving, drizzle with topping of choice. For bars, cut into 6 rows by 4 rows. Store covered in refrigerator. 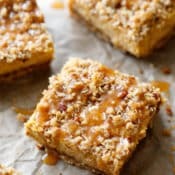 Your pumpkin streusel cheesecake bars look amazing, I love anything with a crumb topping.